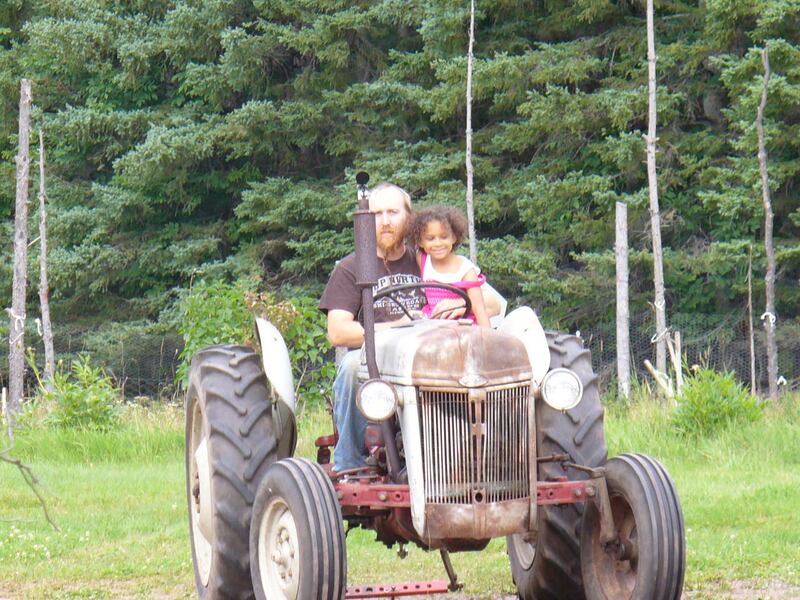 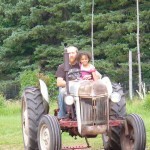 Eva getting a tractor ride from uncle A.J. 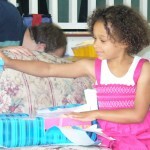 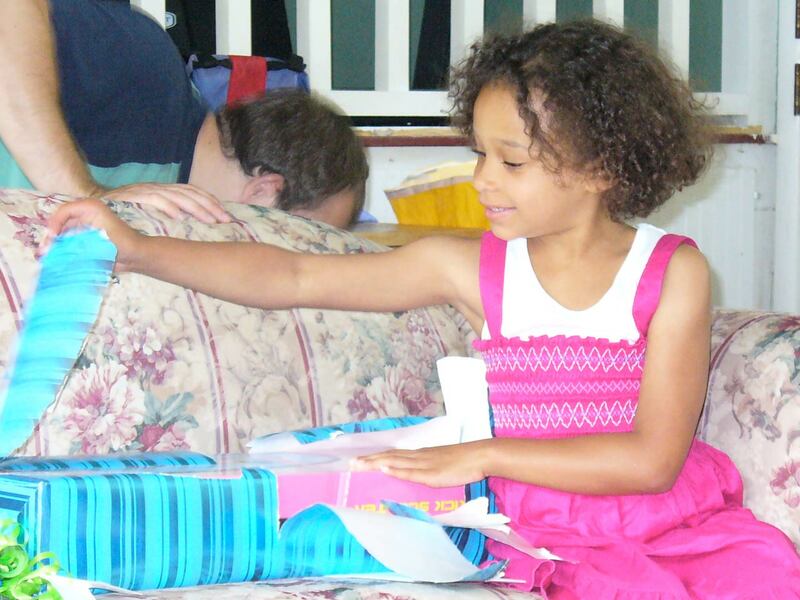 Eva happily opening a birthday present. 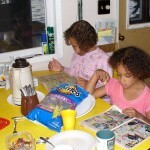 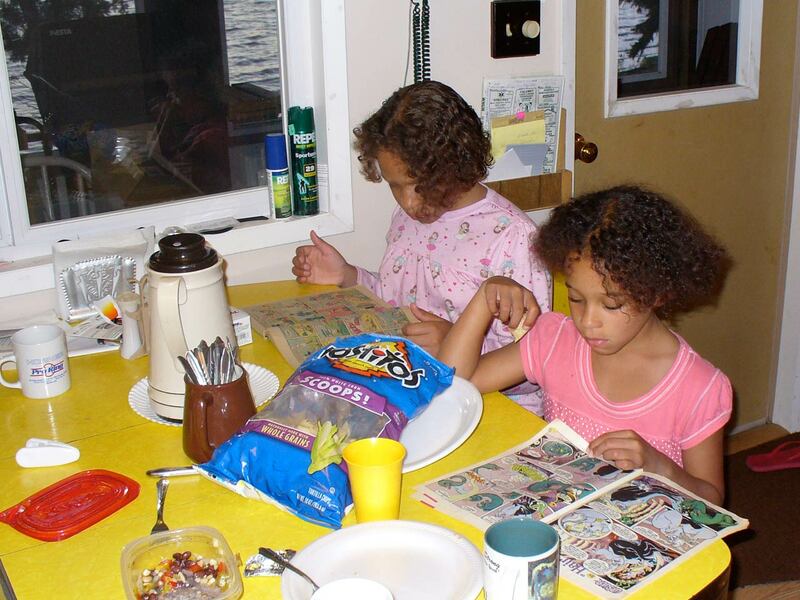 Lila and Eva reading comic books at the camp before bedtime. 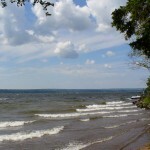 Here’s another view of the water. 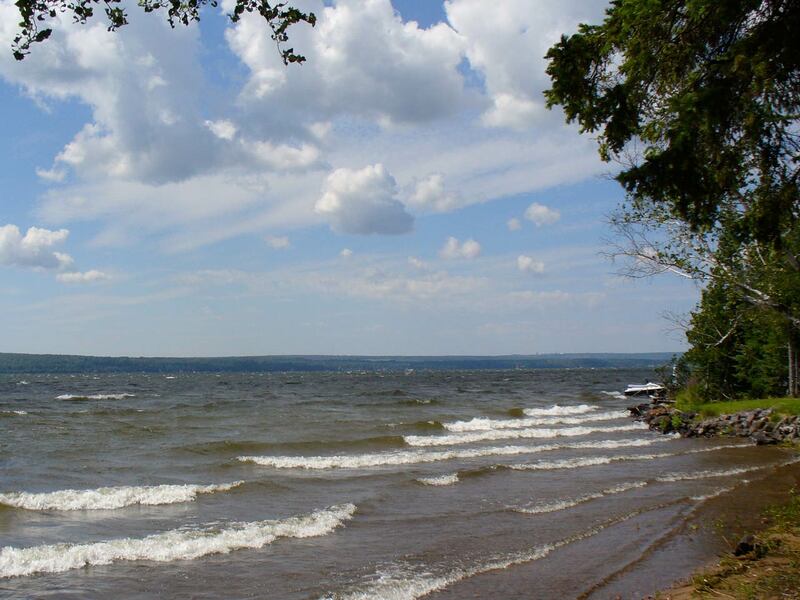 This is Portage Lake. 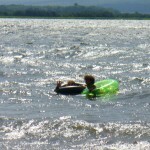 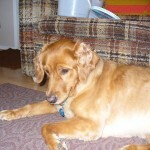 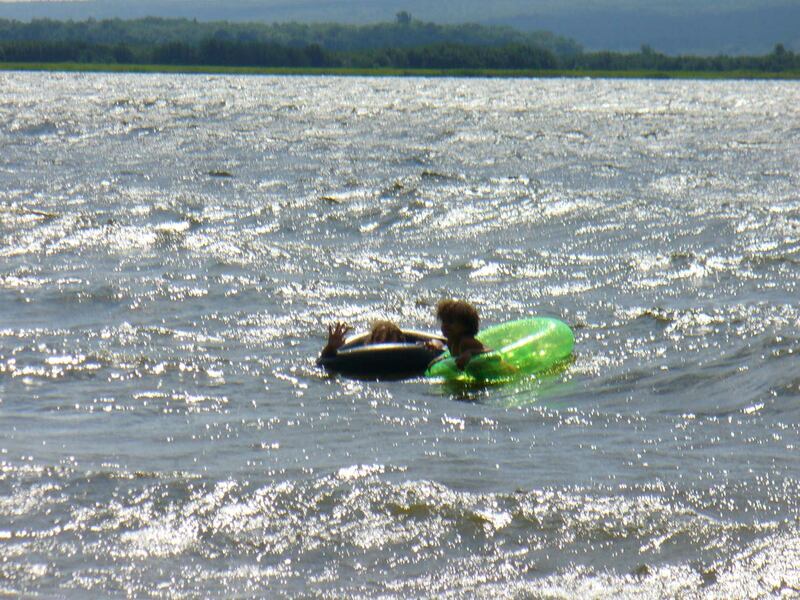 Lila and Eva spent a few days in the water. 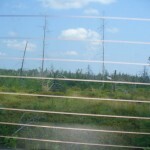 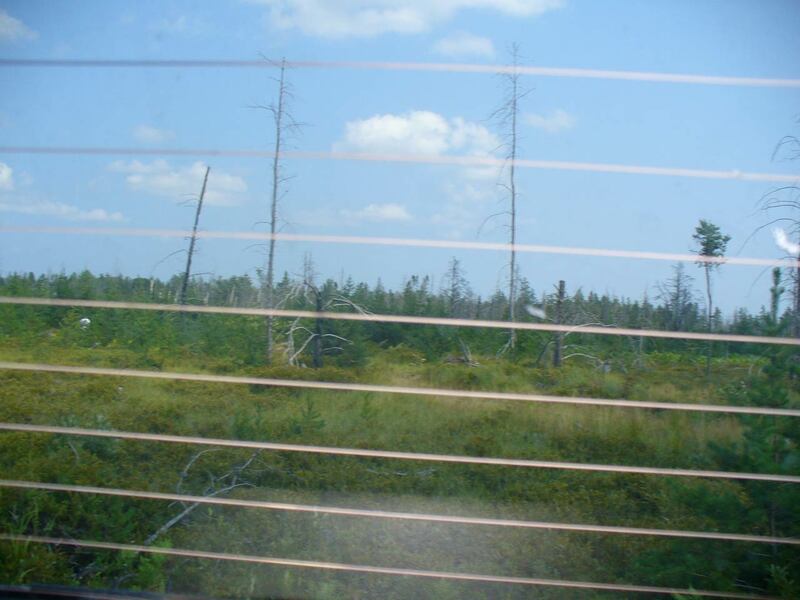 We picked wild blueberries from this old burned forest near Rice Lake in the Keewenaw Peninsula.